I always give clients an honest dose of reality about the legal landscape – how a judge or jury will likely view the facts, the options for resolving the dispute both in and out of the courtroom and the estimated costs associated with each alternative. Once a client’s expectations are at the right level and we agree on a strategy, then I begin the plan of action. I focus on strategically outworking our opponent in every way until we reach the best outcome possible. Leader of the Real Estate Litigation Practice Group, Daryl Bailey has extensive experience in resolving complex commercial disputes with incredibly challenging issues, multiple parties and substantial dollars at stake. His clients range from Fortune 500 companies to mid-size business owners, entrepreneurs and family-owned businesses primarily in the real estate, construction and steel industries, including developers, general contractors, subcontractors, landlords, tenants, steel mills, steel distributors, title insurance companies and their insureds. Clients rely on Daryl to find the best path for achieving their goals in litigation all over the country involving numerous issues, everything from breach of contract, landlord-tenant disputes, design and construction defects and liens to fraud, DTPA claims, eminent domain, condemnation and valuation, accounting and financial disputes. Daryl’s practice also extends well beyond the real estate and construction sectors, which gives him the flexibility to help a diverse group of clients solve demanding problems regardless of the industry or subject matter. He represents clients as plaintiffs and defendants in commercial and employment litigation involving a variety of issues, including non-competes and other employment agreements, trade secrets, business torts, UCC matters, breach of warranty, indemnity, duty to defend, insurance coverage, plus many more. Complex disputes often continue after a trial court ruling, verdict or judgment, and Daryl is highly experienced in arguing issues on appeal to fully protect his clients’ interests. He has handled numerous state and federal appeals resulting in seven published opinions to date, including a case before the Supreme Court of Texas that was ranked by Texas Lawyer in its annual top 50 list of significant Texas cases. 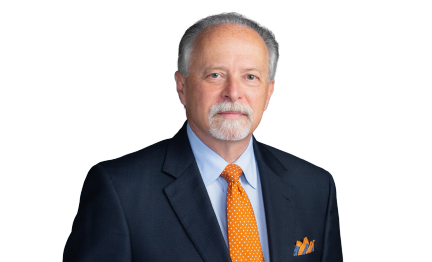 While his practice is largely focused on U.S. domestic matters, Daryl is committed to serving clients’ legal needs as part of a network of more than 2600 lawyers globally, where he helps clients gain the best position for realizing their domestic and international business opportunities. As a leader of that organization, Daryl served as Chair of the Governing Board of Directors of Lexwork Americas, a strategic alliance of more than 20 mid-sized law firms throughout the U.S., Canada, Mexico and Central and South America. Lexwork Americas is affiliated with Lexwork International, with member law firms in more than 36 countries worldwide. Daryl currently serves on the International Coordinating Committee of Lexwork International. Successfully represented a Houston-based, Fortune 500 company in the defense of a $3 million breach-of-contract-claim brought by its former labor supplier. After a six-day jury trial in Harris County, the jury returned a verdict finding Gray Reed’s client had no liability and therefore no damages were awarded to the Plaintiff. On appeal, Daryl and his team obtained dismissal of a Plaintiffs’ lawsuit claiming over $100,000,000 in damages against Gray Reed's client. Gray Reed's client objected to the personal jurisdiction of Texas courts by filing a special appearance. The trial court denied the special appearance. The Dallas Court of Appeals reversed the trial court holding that there was no general jurisdiction because the non-forum party was not "at home" in Texas despite that it has some purposeful contacts with Texas. The court of appeals continued to follow the more recent U.S. Supreme Court's view of strictly construing when a forum state has personal jurisdiction over a non-forum defendant which is a significant change from prior personal jurisdiction cases. Successfully settled a defective pipe claims case involving a complex battle of the forms analysis and extensive cross-motions for summary judgment. Settled a bet-the-company lawsuit on behalf of a family-owned business, extracting the business from an onerous requirements contract allowing it to flourish and grow after the settlement. Obtained summary judgment in a dispute over mineral ownership. Obtained verdict on behalf of mid-size construction company related to claims of concrete slab failure. Obtained and collected a $500,000.00 judgment for an Assistant Principal who filed a lawsuit alleging a whistleblower claim, sexual harassment and retaliation claims under State and Federal laws against the largest public school district in the State of Texas. Successfully prosecuted arbitration proceeding on behalf of mid-size oil & gas equipment manufacturer against one of the world's largest oil & gas equipment and service companies. Obtained from Fifth Circuit Court of Appeals in Dallas, Texas, reversal of cross-motions for summary judgment which was rendered to trial court with only issue remaining being award of attorney's fees. Issues related to interpretation of UCC provisions relative to right to payment of "proceeds" on insurance policy after collateral was destroyed by fire. Successfully obtained affirmation by U.S. Court of Appeals, Fifth Circuit, of a summary judgment rendered by the trial court in favor of defendant real estate partnership. The successful appellate defense of dissolving a temporary injunction which had prohibited a former employee from working for a competitor. Obtained favorable results through writing briefs and orally arguing before the Texas Supreme Court and courts of appeals at the state and federal level as reflected below in the reported cases. Moss v. Tennant, 722 S.W.2d 762 (Tex. App. -- Houston [14th Dist.] 1986, writ ref'd n.r.e.). Ojeda De Toca v. Wise, 748 S.W.2d 449 (Tex. 1988). Manhattan Construction v. Hood Lanco, Inc., et al., 762 S.W.2d 617 (Tex. App. -- Houston [14th Dist.] 1988, writ denied). Martinka v. Commonwealth Land Title Insurance Company, 836 S.W.2d 773 (Tex. App. -- Houston [1st Dist.] 1992, writ denied). First National Petroleum Corp. v. Lloyd, 908 S.W.2d 23 (Tex. App. -- Houston [1st Dist.] 1995, no writ).